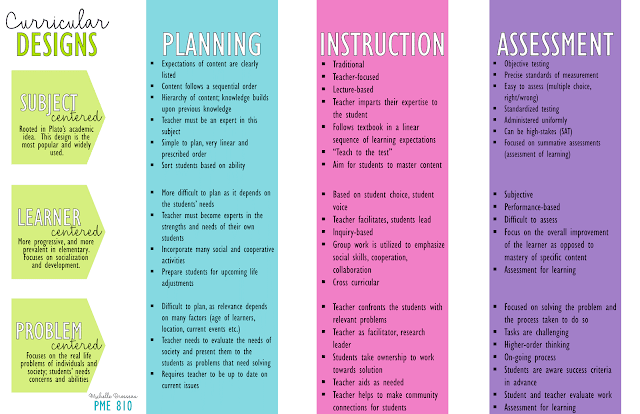 Here is a comparison summary of the planning, instruction and assessment considerations for the subject, learner and problem centered curricular designs. Your feedback is appreciated. McMillan, J. H. (2014). 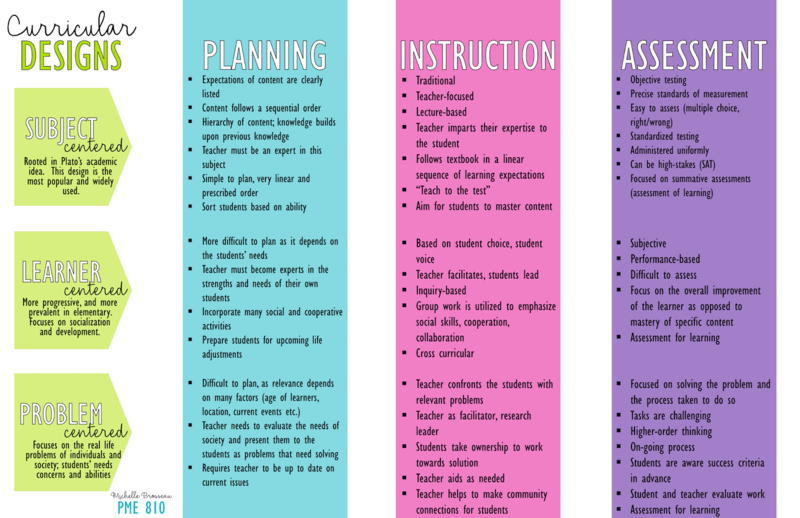 Classroom assessment: Principles and practice for effective standards-based instruction (6th ed., pp. 1-20, 57-64,74-88). Boston, MA: Pearson. Ornstein, A. C. (1990/1991). Philosophy as a basis for curriculum decisions. The High School Journal, 74, 102-109.